So, let me start this blog by saying Happy Veteran's Day to all those who are serving in the military or have served and to those who have family members that have served! I grew up in a Navy family my entire life and shocked my family when I decided to go into the army when I was 17 years old. 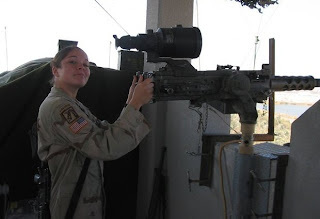 I served 4 years as an imagery analyst and loved it, I served in OEF in Afghanistan and also served in OIF in Iraq. I am so blessed to have had that experience, the comraderie (spelling???) and the teamwork, and how you really become a family especially in the toughest of times. Those times were the best and the worst, but I would never regret or change anything about being in the army. My husband and I attended a Veteran Day celebration that my college was having, and it was so nice, we got free sanwiches, veggie tables..(is how I like to say vegetables) lol chips, soda and some yummmmmmmyyyyyy cupcakes with sugary icing that i had to scrape off because it was just too much sugar...and thats crazy for me to say because I am a sugar-holic!!!! There was a dj playing american songs and a slide show of military members and their families. There was even a booth and some photographers giving out free pics for everyone. Jermie and I got our picture taken of course, but I dont have access to a scanner to post it, but we were cheesin away. lol It made me proud to have served. Here's a picture of me in Baghdad in 2004, right after I had my daughter and was deployed after she was only 4 months old! I wish I had more pics to show, but I am afraid that is all I have! I hope everyone has a blessed day!